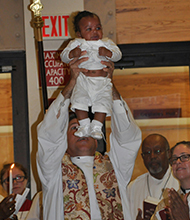 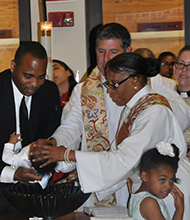 At St. Benedict’s we welcome all children, youth and adults to be baptized. 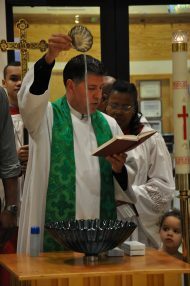 The first contact or request should be made in person at one of our weekend services occurring at 6:00 pm Saturdays, or 8:00 and 10:00 am on Sundays directly with the priest or deacon, who will be readily available and meet every person during the service, often until the last person has walked out of the church. 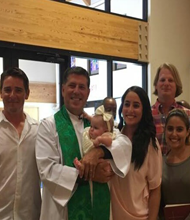 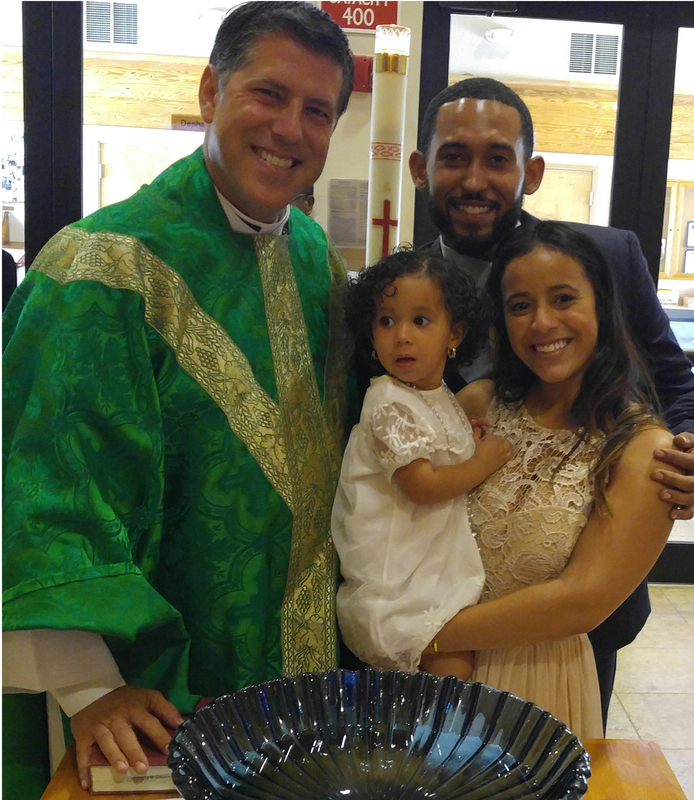 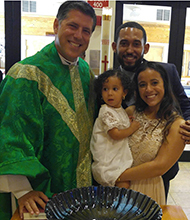 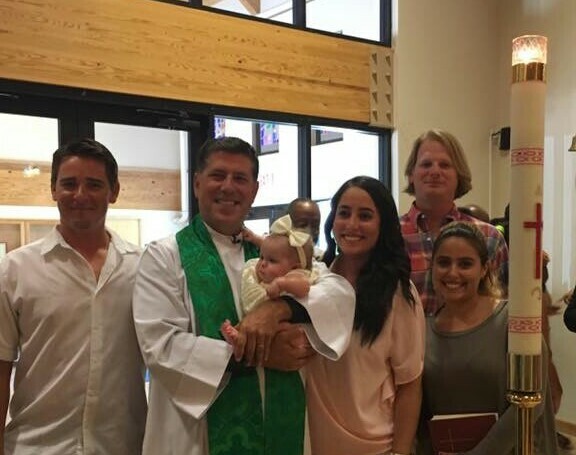 The clergy person will then introduce you to the Baptismal Preparation Team member who will answer all questions and help the family and/or individual prepare for the reception of the Sacrament of Holy Baptism. 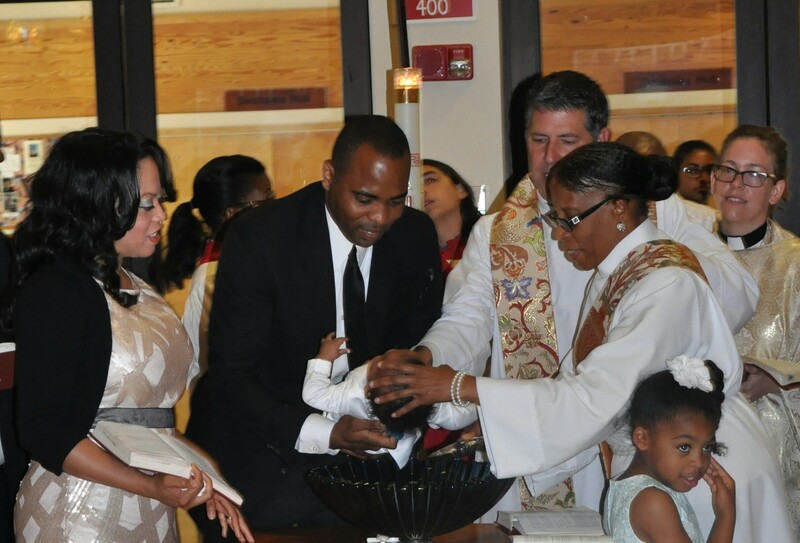 We do not reserve dates or give information about any of the sacraments over the telephone. 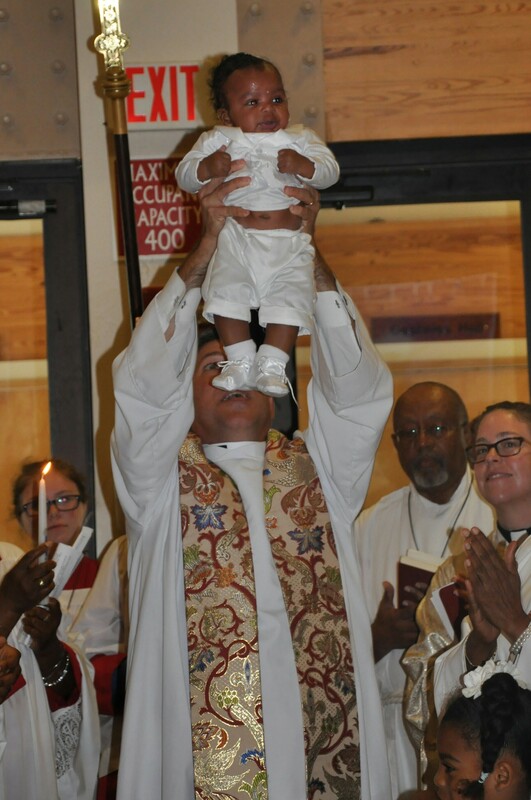 Attending a service is the best place to begin.